Sometimes life catches up with us and we have to neglect the things we love to act like grown ups. Well I've been gone for too long and I'm truly sorry. I feel like I kinda dropped the ball on everything this past year. Career life has been going very well but it doesn't always leave time for my passion. Work Life Balance is so very important to your sanity and you've gotta take time to do something just for you. Tonight I came home and took out my sketch pad with all my creations in it and I found a place of peace just remembering how it all started. So since I've been away for a while I wanted to do something to "kiss and make up". Starting right now through this Sunday, 11/17/13, enjoy 50% off everything in the shop. 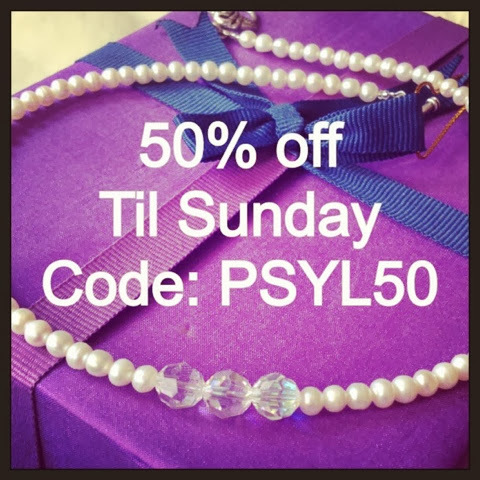 Just enter code PSYL50 at checkout.